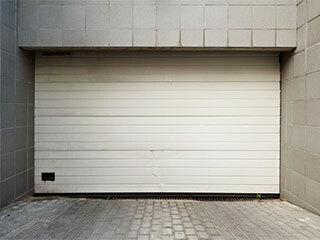 If environmental issues make you want to get an eco-friendly, a.k.a "green", garage door, then, by all means, go for it! Trying to reduce our carbon footprint is always worth the effort, and while some people may choose to get a "green" garage door for environmentally conscientious reasons, others might choose to do so simply for the energy saving benefits "green" doors have to offer. Any way you look at it, choosing eco-friendly doors these days can make a real difference. Not only in your personal life, but in the life of your children and, potentially, even their children's children. There are "levels" as far as the "green" factor goes when it comes to garage doors. Getting insulated panels is a good start, and if they are made from ecological materials and are made from recyclable parts to boot, well, that's even better. As time goes by, and the trends of being more environmentally conscious are picking up steam, you'll find the availability of ecological garage door to be increasing. For now, you can start by choosing composite lumber instead of natural wood. If you insist on natural timber, at least make sure your overhead door is made of wasted wood. These days, most garage doors are usually at least somewhat insulated. Most manufacturers sandwich polyurethane materials between the door's panels. Your goal is to have good thermal resistance and energy efficiency inside your home, as this will make it easier for your HVAC unit to maintain your indoor temperature, and thus effectively save you money on energy spending. That's why it's important to get a door with a high R-value. R-value signifies how insulating the door is. The bottom line is that anyone can benefit from getting a "green", eco-friendly garage door. But before rushing to get one, make sure you've covered your basics. Your door needs to be sturdy and strong, and if possible, made from composite materials. As long as your door is up to these standards, the fact that it's "green" will be a special enhancement. The benefits will be evident right away since you will be saving a lot on your energy spending, while at the same time enjoying a warm or cool house, depending on your location. Not to mention, you'll be supporting the environment as well, and will be playing an active part in helping to ensure the future of your children. Contact our experts at Garage Door Repair Santa Clarita today to learn about our "green", eco-friendly door options. By the way, as for the fashion-forward homeowners of you out there, keep in mind, the door doesn't actually need to be painted green. Should Prices Influence Your Decision? We're proud of our reputation as the number one garage door service in town. Our dependable team is number one locally for fast, professional, and affordable repairs. When you have a garage door issue, let our team come to your rescue and take care of the issue perfectly, the first time, every time. Thank you for choosing Garage Door Repair Santa Clarita! One of our experts will be in touch soon. Feel free to browse our website for FAQ, tips and more useful information in the meantime!